Miss Jennifer Lawrence // #1 Fansite for Academy Award Winner, Jennifer Lawrence! » Blog Archive » UPDATE: MJ: Part 2 premiere announced for Moscow! UPDATE: MJ: Part 2 premiere announced for Moscow! 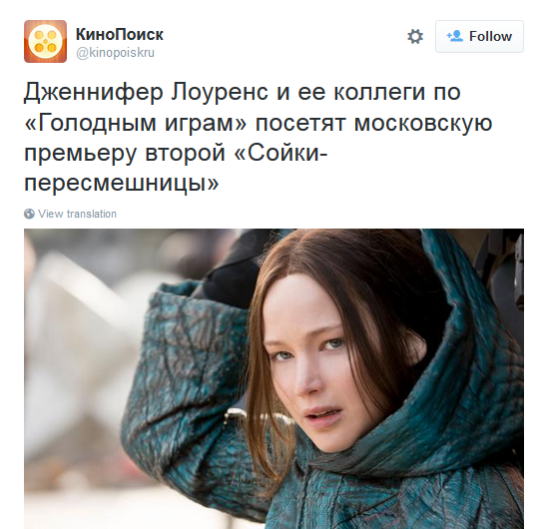 Kinopoiskru have announced that Jennifer Lawrence and other cast members will attend a ‘Mockingjay Part 2′ premiere in Moscow, Russia. The date is currently TBA.